This story had a lot of potential. The author tied in the biblical story of Moses as well as intrigue in modern times to lead us on a merry chase that only as the book ended did we begin to understand how it all tied together. Clever that. Will I read the next book in the series? I enjoyed this book quite a bit, but it spent more time in the past than I would have liked. I was more intrigued by the "now" part of the story. From what little I've read about the other books in the series, it appears they follow the same formula and will lead us through some key periods in history. That's not quite what I was hoping for, so I probably won't, but if you are a huge history fan I think this would be right up your alley. Slight pet peeve too. This author doesn't seem to know the difference between "clinched" and "clenched". If one more person in this book "clinched" their fists I think I might have killed him. But that is a very minor issue and doesn't have any impact on the fascinating story this author has told. Another minor pet peeve is that the aliens in ancient history seemed to speak very modern using lots of common slang phrases. But ignore that and just enjoy the story. Do you think aliens visited our planet in the past? Do you think there are secret chambers in the Sphinx or the Pyramids that we haven't found yet? Tell me your thoughts in the comments or email them to me at TheRealABShepherd@hotmail.com. A group of archaeologists make new discoveries about Egypt's past. Recorded history of the Great Pyramid, Sphinx, even Moses and the slave exodus to the Promised Land are drawn into question as they unravel the mysteries they find. A man in a psychiatric hospital may be the key to it all. the patient believes he is of another world and locked in a high stakes conflict with the mysterious species Alpha that has spanned the course of human history since ancient Egypt. Is he crazy, or is it crazy to ignore him? Mark's love of story telling began at a young age while listening to imaginative, and often times scary, bedtime stories by his father. His respect for the written word was reinforced by the attentive eye of his mother who taught English for many years at St. Charles High School. 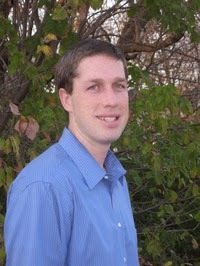 Mark has been happily married since 2000 and is the proud father of two children. He works as a financial analyst and uses his fiction writing as a creative outlet from the rather sterile profession he none the less enjoys. His Origins novel series began as a two page plot write-up his older brother decided was not going anywhere. 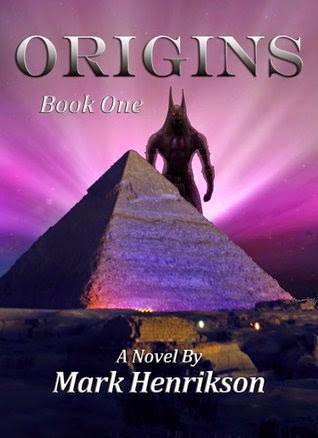 With his permission, Mark used that synopsis as back story for the main character in the Origins series and allowed his creativity to take over from there. I read this book in 2013. Mark gave me an Amazon Gift of it and I thoroughly enjoyed it. I think everyone will!